Favorite Links Please see Mrs. Neil in the library for usernames and passwords for these sites. 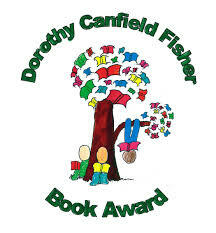 Dorothy Canfield Fisher Award Which one of the thirty chapter books on this year’s list will you vote for? Join us at our ice cream/voting party in April! To earn an invitation, tell us about five or more of the books you’ve read from the list using this Dorothy’s List form. Red Clover Award The 2018-2019 Red Clover Award nominees are here! Voting for your favorite book takes place in April after our year long whole-school reading event. Which one of the ten picture books is your favorite?